Trending Now: What we want for Christmas is a pool ! If you haven’t been in a cool, shimmering blue swimming pool this summer, don’t worry. Winter is just the time to start planning your new pool. In the meantime, let these 20 recent photos of the most popular pools on Houzz get you pumped up and ready to plan your perfect pool for 2017. 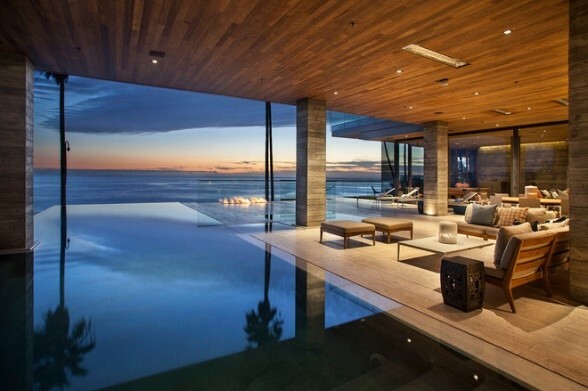 A pool so close to a house looks dreamy from inside or outside. Walls of windows give this home a special connection to the water. The coordination of the pool surround and home exterior colors, and of the wood pool decking and exterior siding, creates a sense of harmony in the outdoor space. The large sliding bifold doors that open the living room to this pool certainly grab attention. What sets this backyard oasis apart, though, is the pool enclosure, which protects the area from a nearby golf course and gives a sense of privacy to the extensive outdoor entertaining area (not shown). In Florida everyone seems to have pool enclosures so we were surprised to see very few in the Carolinas – it is an up and coming trend! This pool and spill-over spa, have been laid proportionally along the custom-built house in a rectangular fashion to create symmetry and harmony. Bringing the lawn to the edge of the pool border left plenty of room for working up a sweat playing outdoor games. 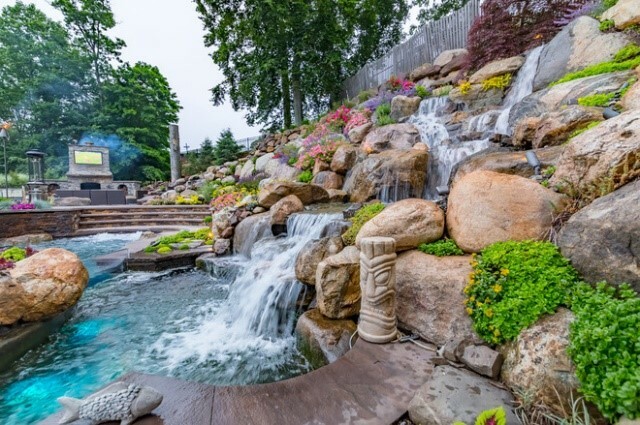 A towering waterfall with plantings poking out between small boulders creates a view worth staring at all day. It’s hard to tell from this photo, but this pool sits in a backyard the size of a city park, with an outdoor fireplace and TV area, a kitchen with a grill, a playground and a sunken bar with swim-up seating. Click the link below to see the awe-inspiring space. 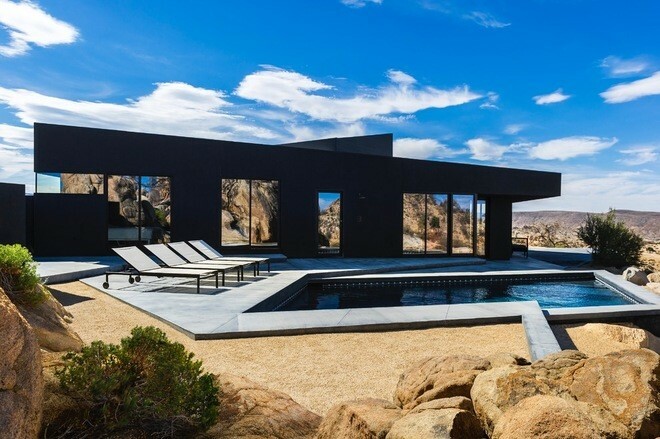 Reflections in the window of this all-black modern house reveal enormous boulders that set up the unique experience this simple, sleek desert pool offers. Time spent at luxury resorts around the world spurred this couple to bring the concept home in this swim spa and exercise room addition. 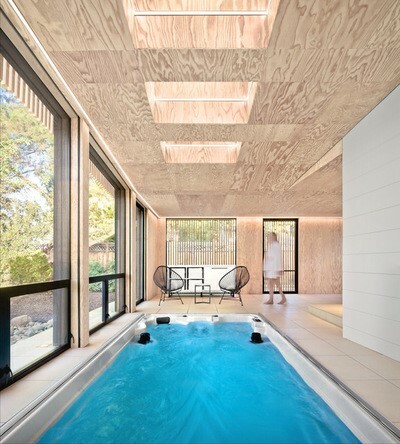 The finished-plywood ceiling and walls balance the high-end look perfectly. 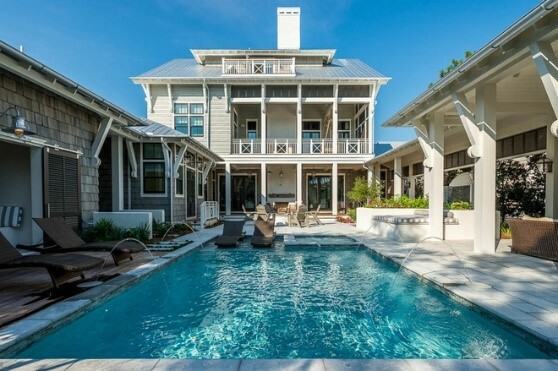 This large, narrow outdoor space is the highlight of the Santa Rosa Beach, Florida, home. Several living spaces surround the pool, which features a lounge shelf. Hey, nothing wrong with dreaming, right? This large Los Angeles home opens up to an extensive pool area with plenty of resort-style lounge seating. A mosaic tile spa sits in one corner, and just out of view to the left is an intimate seating area for two with a fire feature. The modern pergola structure on the second floor shades a deck and living area. A spiral staircase connects this well-scaled pool to a second-story entertainment patio. An arcade-style walkway and outdoor seating and cooking area pack a lot into this backyard. Plus, the waterfall on the left is a fire feature; on the other side of it is an intimate seating area. Rich textures and colors turn this rocky outcrop into a backyard oasis. The ratio of hardscaping to water — the pool is 14 by 17 feet — makes this area just right for lounging and cooling off in the muggy heat. 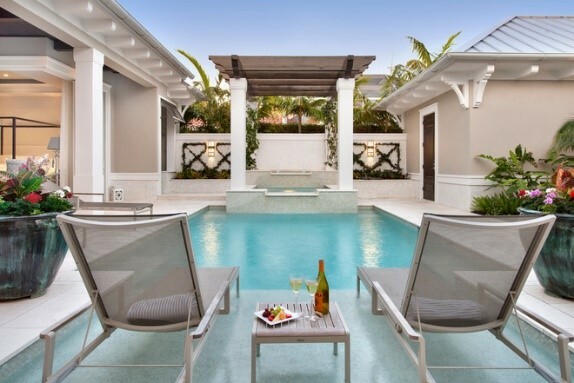 If you prefer your poolside lounging to feel like a day at a fancy resort, this Florida backyard is for you. From the way the structures, materials and colors work together harmoniously, you can tell an architect had a hand in the design. The lounge shelf in the foreground with chairs sitting right in the water is an extra-special touch. 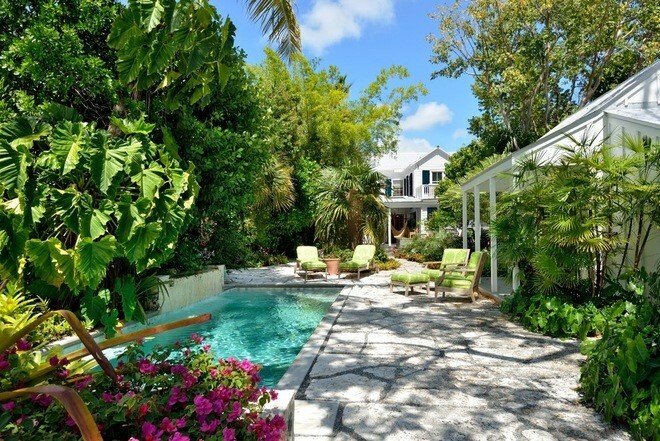 “Lush” barely begins to describe this Key West, Florida, pool area. The intense greenery offers plenty of shade and creates a setting that feels like a hidden swimming hole in a tropical forest. 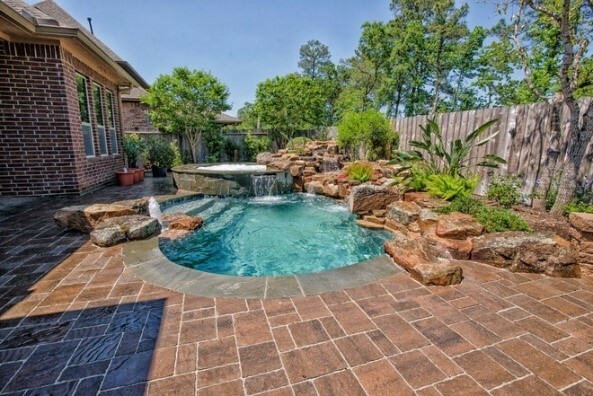 Varying tones in the stone tile surrounding this pool play perfectly with the colors in the roof. Meanwhile, scrollwork on the exterior enhances the Mediterranean style. An arcade-style walkway at one end leads to a covered patio area with a double-sided fireplace. Palm Springs knows how to do pools. This cool concrete setup in California features custom-designed and -built teak lounge beds. Let me give you a minute to pick your jaw up off the floor — better? OK, the second floor of this terraced house forms the roof of an outdoor patio and pool area that feels like it’s indoors. The infinity-edge pool blurs the lines between the human-made water feature and the Pacific Ocean, while the fire feature complements the fiery sunset. This sprawling backyard has all the luxury outdoor amenities — fire pit, pool and spa, lounge seating and bed, dining table, pool house and extensive lawn. 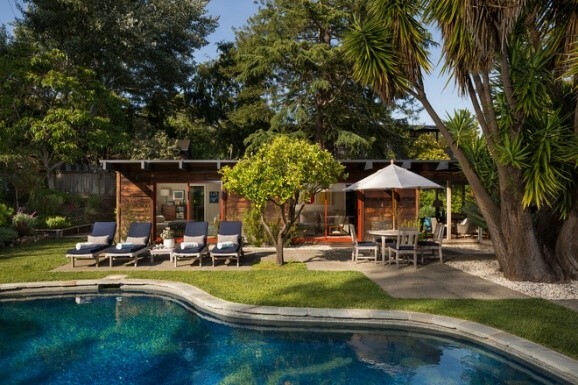 This midcentury-style house forms an L shape around this leafy pool area and giant yucca tree. 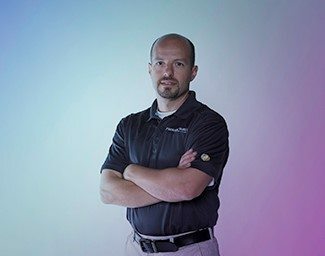 On weekends, the homeowners have an open-door policy for their friends nearby, and we’re told the backyard scene is always hopping. Back to Houston we go for this home with a double balcony, a wide, deep-blue pool and plenty of entertaining space. Seriously, with so much to like out here, you have to wonder why there’s any indoor space at all. It’s no surprise that this was the most popular pool photo in recent months. 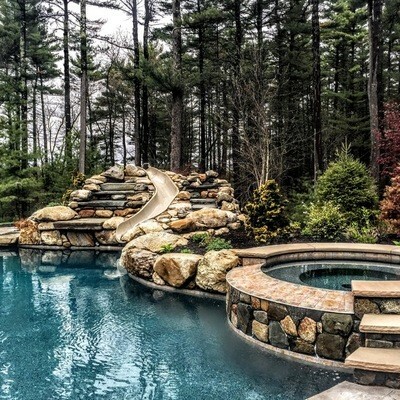 Few expenses were spared for the wooded outdoor retreat in Boston, which includes beautiful hardscaping and landscaping and, of course, a waterslide that probably never gets old.